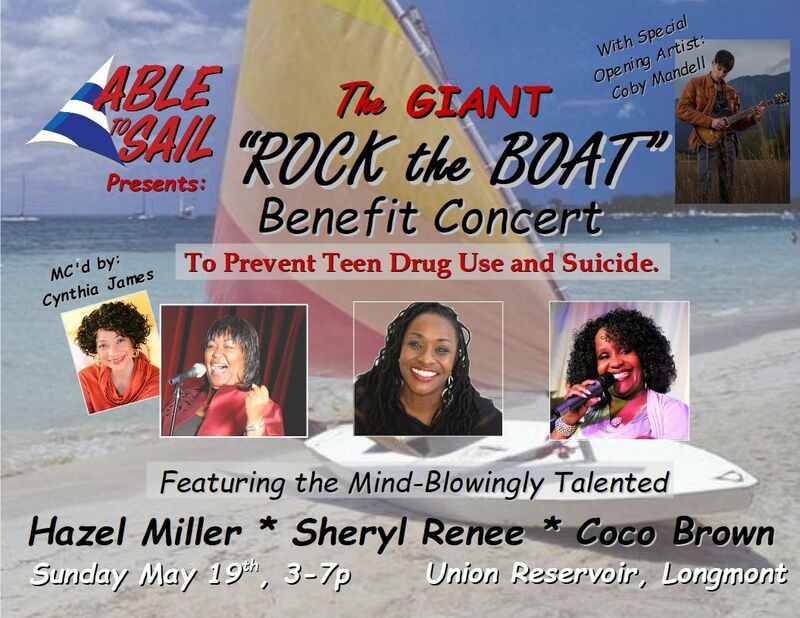 ABLE To Sail, a 501(c)(3), non-profit, presents a Family Fun Event at Union Reservoir, supporting our mission, to Inspire and Empower our YOUTH, preventing teen drug use, self-harm, suicide, and other unhealthy behaviors. Bring the family and play GIANT versions of your favorite Games! Tickets go into a drawing for a $499 SUP, $149 Cardiff Skates, $345 Camp Scholarships, and more. Kids 12 and under admitted FREE with accompanying adult! Gate Fee to Union Res, ($10/car) is included in your pre-purchased ticket, and must be shown for entry into the park AFTER 2:00. You may spend the entire day there, but you will be responsible for paying entry fee if you choose to arrive prior to 2:00. Please utilize BOTH LANES for entry, and plan to arrive early. Lines can get very long! BYOLC! Bring your own LAWN CHAIRS!!! NO EZ UP's / Tents / or Sunshades that block the view of audience members seated behind you. No outside food or coolers allowed in event area. Food/Drink available for purchase. Join us in knowing, "It's gon' be SUNNY and 80!" This is an outdoor event, and may be rescheduled due to inclement weather, to a 'tbd' date in the fall; though only if it is forecast to be stormy/rainy/cold the entire day. It's COLORADO, so we will not cancel based on typical T-Storm patterns. We will advise you by email 24hrs in advance in the event of cancellation. Tickets are NON-Refundable. No purchase is necessary to enter the drawing. Please send a self-addressed stamped envelope with your request, to : ABLE To Sail 275 Caywood Ct / Longmont, CO, 80504 One ticket per request. Must be present to win. Requests must be received by Friday, May 17th. ABLE To Sail has partnered with Give Lively to securely process your online donation. This transaction will appear on your credit card statement as "ABLE To Sail". This transaction is subject to Give Lively's Terms and Privacy.